Do you like your scent to be remembered ? Gypsy Rose Lovely Oil, is a unisex blend of uplifting mix of citrus and wood 100% essential oils, designed to uplift your spirit but keep you grounded! This multi-use product can be WORN as a perfume, BURNT in an oil burner with water, or for the ultimate indulgence added to your bath. PLEASE NOTE: This is a CONCENTRATED PRODUCT – NOT to be used on FACE or as a MASSAGE OIL. For certain EXTERNAL uses ONLY. Keep out of the reach of children- Seek medical attention if an allergic reaction. See our instructions for use for more info. Gypsy Rose Lovely Oil, is a unisex blend of uplifting mix of citrus and wood 100% essential oils. Most of all, our Lovely Oil is designed to uplift your spirit while keeping you grounded! This multi-use product can be WORN as a perfume, BURNT in an oil burner with water. In addition, for the ultimate indulgence added to your BATH. Sweet almond oil is obtained from the dried kernels of the almond tree. It is light, easily skin absorbed and is very nutritious. Especially relevant is its normally considered the first choice carrier oil with essential oils. As a result, its a great emollient and due to this it may help ease itching and inflammation. Most of all, it helps balance the moisture in your skin…..hence is a wonderful natural moisturizer suitable for all skin types. Almond oil had been used extensively for its health benefits and as a beauty aid much before science caught up with the goodness of this seed oil. Hence, it is very popular in Southeast Asia and in the Mediterranean region where the Almond tree was first domesticated. Most noteworthy is the almond kernels nutty oil that is extracted widely is now accredited with promoting skin health. Most of all, we do know that the oil is rich in Vitamin E, monounsaturated fatty acids, proteins, potassium and zinc. Finally, it also contains a number of other minerals and vitamins. As a result this explains why it is so good for our skin and hair. QUESTION: Can I use the Gypsy Rose Lovely Oil on my Face or as a massage oil? Due to the concentrated formula and essential oil content, we do not recommend that you use Gypsy Rose Lovely Oil on your face or as a massage oil. If you’re looking for a facial product, please check out the Gypsy Rose Rosehip Oil instead. See our “instructions for use” for more info. 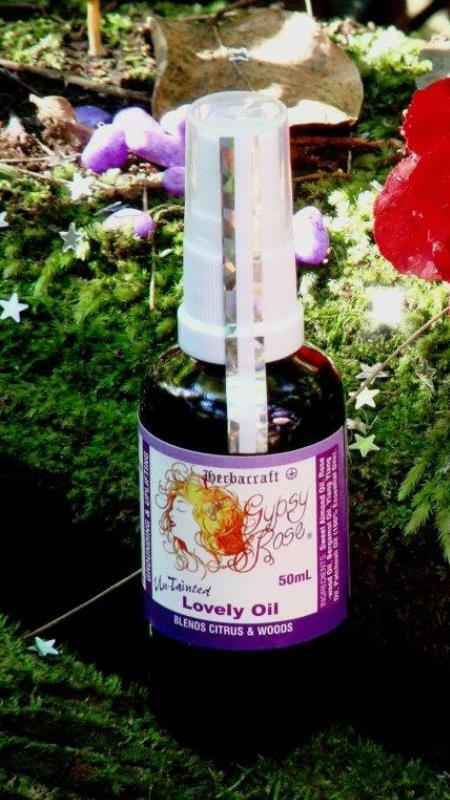 QUESTION: What does Gypsy Rose Lovely Oil contain? Gypsy Rose Lovely Oil contains cold pressed base oil, sweet almond oil and 100% essential oils (rosewood, ylang ylang, patchouli and bergamont). This combination creates a beautiful mix of top middle and base notes that ensure the scent lingers longer and changes in character throughout the day. Due to the concentrated formula and essential oil content-application to skin may increase sensitivity from sunlight exposure. Please test the product on a small area before first use. We do not recommend that you use Gypsy Rose Lovely Oil on your face or as a massage oil. If you’re looking for a facial product, please check out the Gypsy Rose Rosehip Oil instead. See our “instructions for use” for more info. QUESTION: How should I store it? To ensure product longevity, please store Gypsy Rose Lovely Oil out of the sun. 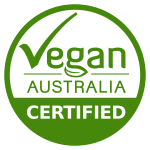 PLEASE NOTE: This is a CONCENTRATED FORMULA due to the essential oils – Keep out of the reach of children – May cause allergic reactions ie. seek medical advice. Application to skin may increase sensitivity from sunlight exposure. You can add extra olive oil to weaken the strength. For external use only – not to be used on face or as a massage oil. To use the Gypsy Rose Lovely Oil as a perfume, rub 3 drops each on the pulse points of the neck, wrists and behind ears. It will create an individual scent on everyone and can use as often as you wish throughout the day. To use the Gypsy Rose Lovely Oil as a scent in your oil burner, simply add 10 drops or 1/2 a teaspoon to your burner and fill with water. This will fill your room with a lovely aroma. We highly recommend the type of burner you use is the type you add water too. To use the Gypsy Rose Lovely Oil as a bath additive, mix 20 drops (1 teaspoon) with a tablespoon of milk to your bath. This lovely combination will soften both the water and your skin, and release a beautiful calming aroma in your bathroom. I got into the spray a couple of years ago a girl i worked with always wore it… and asked her what/where she got it because I LOVED the scent. I took my bottle backpacking with me round the world.. was so amazing so also holds so many good memories for me.